When you hear the word LEGO the first thing that comes to mind are of course the plastic bricks. A company that became big by selling little chunks of plastic doesn't sound very nature friendly. But LEGO is making big steps in creating a sustainable version of their well known bricks and is aiming to launch them later this year (2018). This decision is part of a company-wide policy to transition to sustainable materials in core products and packaging by 2030, a mission the brand invested 1 billion Danish krone (roughly €141 million) in in 2015. 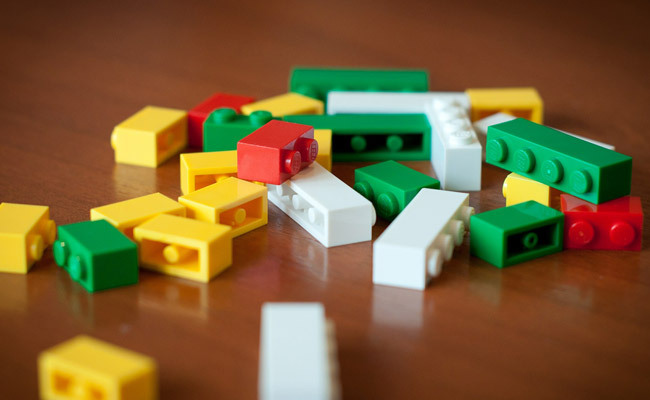 To classify as sustainable, the LEGO Group says a material must have a smaller footprint than the material it replaces in terms of various different environmental and social areas, including fossil fuel use, human rights, and climate change. These particular bricks will be made from botanical materials, including trees, bushes, and leaves. The plastic is a soft, durable, flexible type called polyethylene, which is made from sugarcane. But maintaining the quality. In 2017 LEGO announced that the company was running entirely on renewable energy three years ahead of schedule. They celebrated this event by building a wind turbine. A good example for other companies to follow them in its footsteps.